This thread is dedicated exclusively for those students currently enrolled in the InterNACHI course titled, "Inspecting Commercial Electrical Systems." The purpose of this course is to teach the student how to perform inspections of the electrical systems at commercial properties. inspect high/low voltage and communications. •Romex™ is a common type of residential wiring that is categorized by the National Electrical Code (NEC) as underground feeder (UF) or non-metallic sheathed cable (NM and NMC). •NM and NMC conductors are composed of two or more insulated conductors contained in a non-metallic sheath. The coating on NMC cable is non-conducting, flame-resistant and moisture-resistant. Unlike other cables commonly found in homes, they are permitted in damp environments, such as basements. 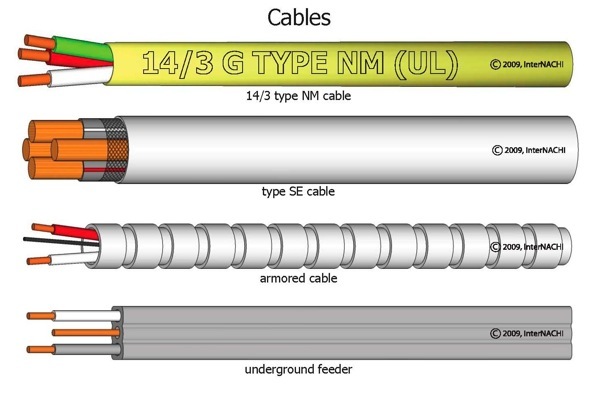 •Underground feeder conductors appear similar to NM and NMC cables except that UF cables contain a solid plastic core and cannot be “rolled” between fingers. •They are not permitted in residential construction higher than three stories, or in any commercial construction. OSHA Regulations state that you should at least be a Journeyman Electrician or an I.C.C. Certified Inspector to remove dead-fronts from any panels and approved safety equipment must be used. The panels in most commercial or industrial properties will not have a main breaker in the panel. Note condition of panels and disconnects including doors and enclosures. Note gaps or missing breakers. Note schedule intact and accurate. Make a visual inspection of the conduits to ensure secure attachments. There should be one support 3ft from the panel or enclosure and one every 10 feet on Rigid or EMT. Supports every 6ft on flex or MC. Starting commercial electrical systems course, will report back soon. 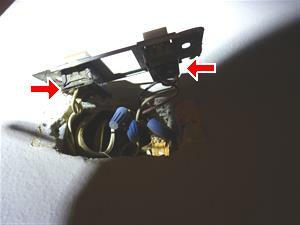 Here is a photo of a ground electrode where the grounding conductor from the service entrance panel has broken loose or has become disconnected from the electrode. Recommended repair by a qualified / licensed electrician. Read the article on electric panels. Electric panels should be inspected with care. Never touch a panel that is wet or if standing in water. The potential for electrical shock is there. Always be certain of your escape route if needed. When inspecting the panel box, look for clearances in front of the box, aluminum branch wiring, proper dead front screws, rust or corrosion, damaged wiring, overloaded breakers, and bonding. Always remember, safety first. 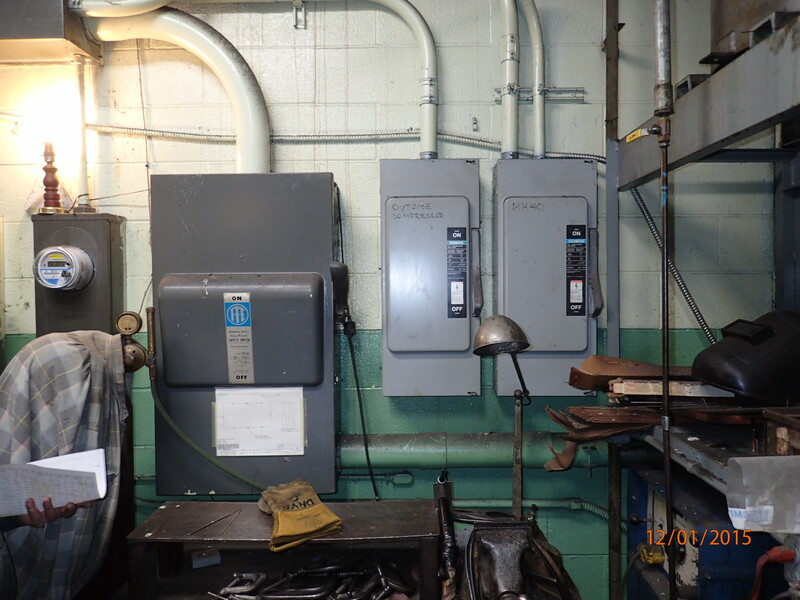 The attached photos show the three phase transformer feeding one portion of this tool and die shop, some 3 phase disconnects, and an open disconnect on a bus bar that has multiple attachment points and is left in the open position which exposes live contact points. This is an unsafe practice that may lead to the possibility of electrocution if touched, and allows dust and dirt to enter. 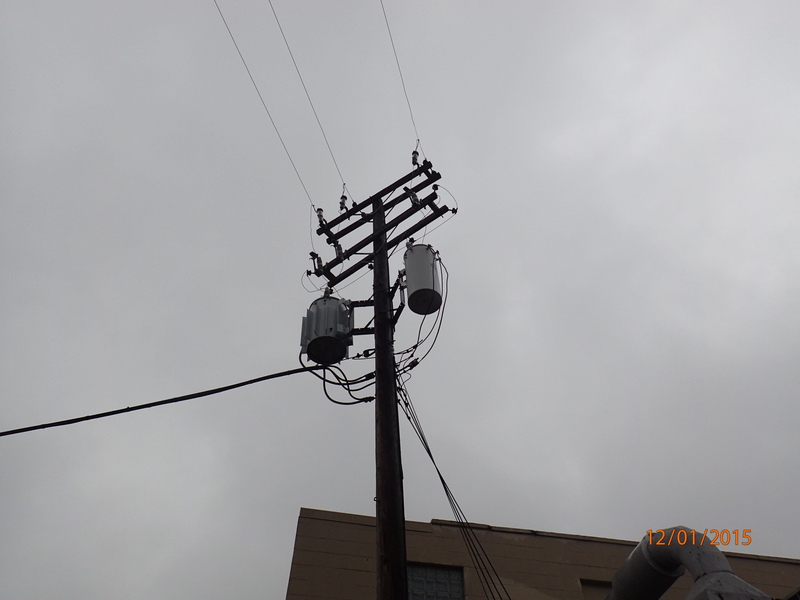 The three phase disconnects appear functional although a three foot clearance is not maintained in front of them. During an emergency situation items should not have to be moved to access any disconnects or switches. Notifying the person in charge, or your client of any conditions that may pose a safety hazard, that can easily be corrected by a competent person will be included in the report. The two articles I choose for this assignment are, Elements of an energy efficient house, and Conserve energy and save money. These two articles compliment each other by explaining types of systems in a building and how to save energy and money. Some of the ideas include the construction of the building, types of equipment used, sealing ducts and openings, adding insulation, how windows affect energy consumption, and the orientation of the building. Knowing the pros and cons of each system and how to improve the overall energy efficiency can then be passed down to my customers. Now on to the exam. The inspection I did was on a fire suppression system in a restaurant grease hood. The system is protecting a 6 burner. The system is activated by heat or manual pull. Also part of the fire suppression system requirements is a portable fire extinguisher with a “K” rating. This extinguisher is to be used after the discharge of the fire suppression system. I read 2 articles, the first was on fire stopping, The fire stopping requirement is critical to prevent the spread of fire in a building. The fire stopping application will change depending on the rating or the size hole you are trying to protect. I have seen contractors, hire a labor and that labor is taking hand full of the fire stopping caulk and trying to apply the fire stopping by hand, like finger-paint. Must large contractors will hire special contractor specialized in the application of fire stopping. the second article was residential fire sprinklers: The residential fire sprinklers are getting a bad rap from the home builders across the country. One of the statements they are making is; fire sprinklers are too costly. In our area of Florida, we have seen residential fire sprinklers being installed for 80 cents a sq.ft. This is cheaper than an crown molding upgrade. The only true way to save lives due to fire is with residential fire sprinklers . As I was inspecting a sub panel I found a rodent nest inside. Due to a open knockout at the bottom of the panel, it provided easy access inside this panel for rodents and insects. After water damage and remediation work has been completed many homeowners will not be fully comfortable until air sampling for mold has been completed and verified. Bathrooms and other areas prone to moisture are a red flag for carpet. Once carpet has been water soaked, if it is not dried in 24-48 hours the carpet is unlikely salvageable. Homes with over 60% humidity could have issues with carpet mold. This home is equipped with a low voltage switching system for ceiling lights and possibly some receptacles. It works by using transformers which produce 12 volts that are used to activate relays which then provide 120 volts to light fixtures and receptacles. The idea was that much conventional heavy wiring and conduit could be eliminated with this system. A check of these systems online revealed that relays, switches, wall plates and other components of the system may still available for purchase depending on the brand of the original equipment. Most manufacturer’s components do not interchange with others so its important to know the brand of the system you own. Components for this style of wiring can be very expensive and hard to find. If it is desired to convert these types of switches to normal 120 volt switches, new 120 volt cabling will have to be run in the walls to the switches and fixtures. Also, new switch boxes would have to be installed in the walls to accommodate 120 volts. A licensed electrical contractor could give an opinion/bids regarding converting to conventional light switches. This method of switching lights was popular in the 50s 60s and 70s. The article does a good job explaining why it’s important to check for back drafting of gas fired appliances during an inspection, particularly water heaters that are installed on an “orphaned chimney.” Most water heaters installed in homes are designed to vent by naturally rising warm air being pulled through the draft hood in the basement. This type of water heater is called an atmospherically vented unit. For this type of venting to be effective, the hot air rising up the masonry flue must be buoyant enough to overcome the push of colder air traveling down the chimney flue from the outside of the home. If the volume of the cold air from an over -sized flue coming down the chimney is great enough to push the warm air from the water heater back into the home, this is called back drafting. The problem can be especially problematic in colder climates and with newer water heaters which send less warm air up the chimney to increase energy efficiency. A simple test to determine if a water heater is back drafting is to place a mirror near the draft hood and see if it turns foggy and wet, indicating the exhaust gasses are being pushed back into the home. A water heater which is back drafting can send carbon monoxide into the home. Flue gasses from the water heater which condense inside the chimney or are pushed back down the flue can accelerate the erosion of the flue liner from the chemicals present in them. I recommend that a licensed plumbing contractor evaluate the water heater to determine if a flue liner should be installed into the masonry chimney to increase the draft. While no service will have all of these defects, the article did a good job showing the various defects an inspector will observe during an electrical inspection. Typically, I see moisture intrusion problems of all kinds, double tapped neutrals, double tapped breakers, holes not filled in the panel and occasionally the wrong gauge wire used for a particular breaker size. 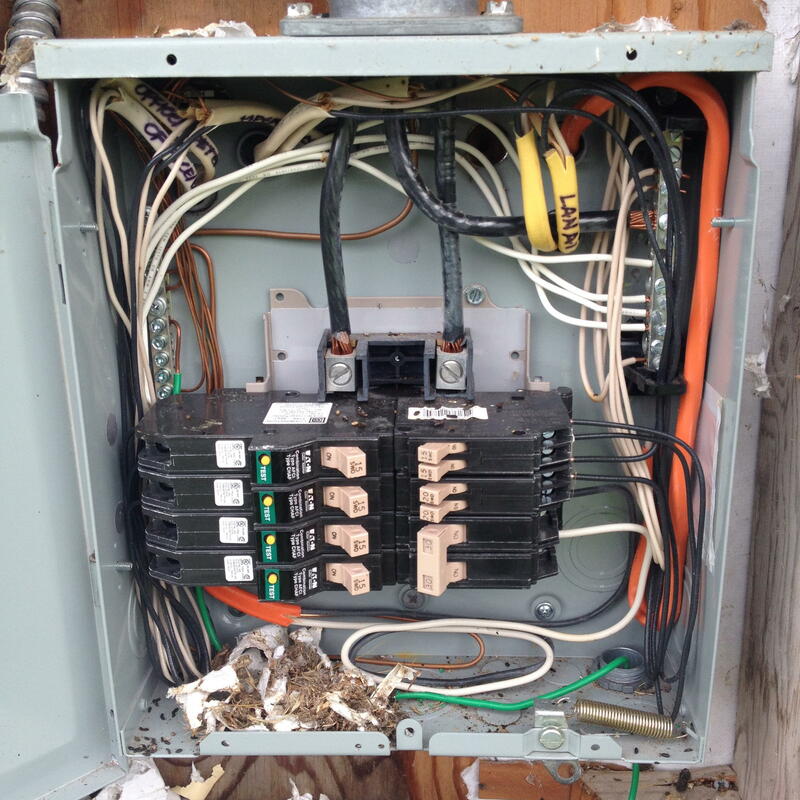 Many times sub-panels are not properly bonded and show signs of not being done by licensed electrical contractors. About 5 years ago I had my main panel box changed. Up until that time I had fuses protecting the electrical circuits in my home. I decided to change the main panel for several reasons. One was that I will want to sell my phone when I retire. I felt it would add to the homes ability to sell at that time if I made the change to circuit breakers. I also considered the fact that I have old wiring in my home as there are no ground conductors in many of the original house circuits. To gain better grounding capabilities in the home, I had the electrician install GFCI circuit breakers in the new main panel. Finally the new main panel allowed me to add more individual circuits to the home which allowed me to re-distribute the power in several of the circuits. The attached photo shows the inner components of my new main panel. Beginning the "Inspecting Commercial Electrical Systems" course. Thanks for the opportunity. 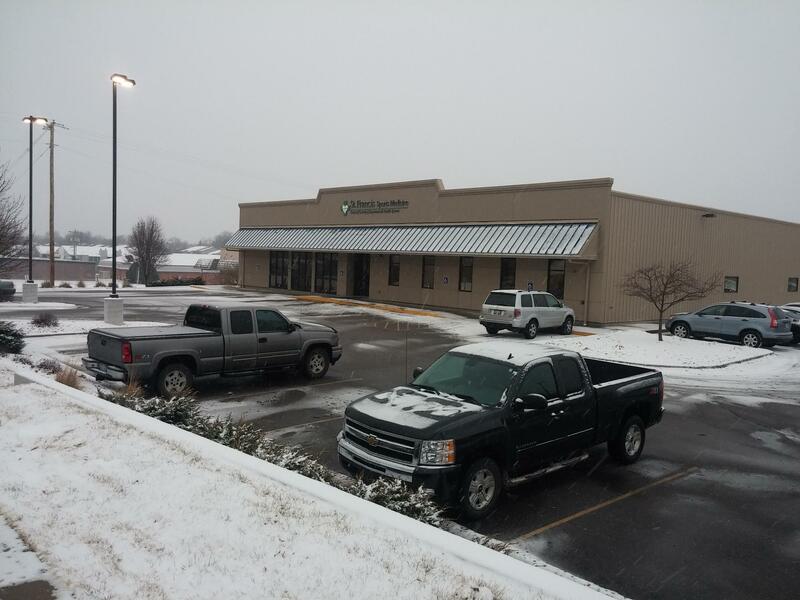 The inspection I conducted was on the parking lot lighting for a small medical facility. The parking lot was illuminated by pole mounted lights on the east side of the building and by wall mounted lights on the north side of the building. Poles were vertically straight, caissons were in good condition with no notable damage, and electrical access covers were all in place. Wall lights were straight and lenses were present and in good condition. 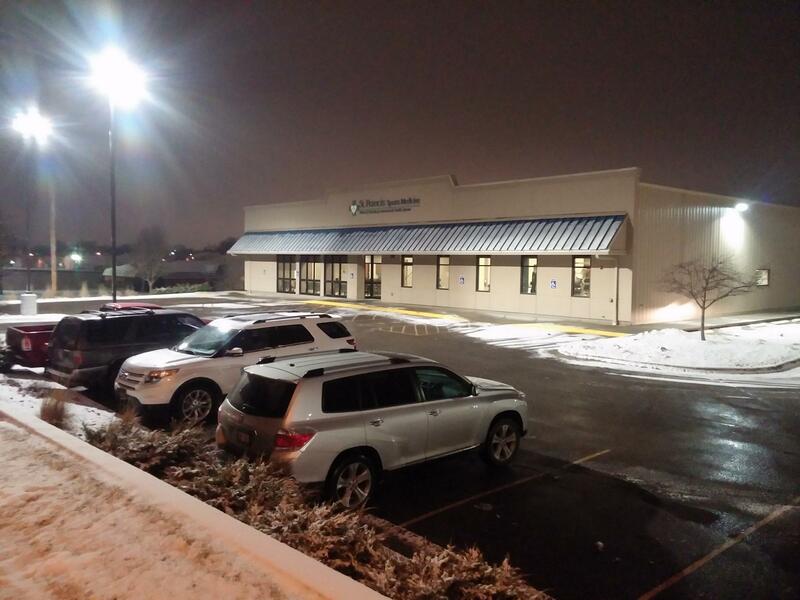 Parking lot lighting appeared to be adequate and was in good condition at the time of inspection. Reading and writing assignment for “Inspecting Commercial Electrical Systems”. The two articles I chose were “Fire Alarm Systems” and “Firestops”. Article 1. Alarm systems should be routinely maintained and inspected to ensure adequate function. Maintenance records should be retained on site. Systems may be subject to damage and consideration should be given as to the age of the system. Annual inspections should be conducted by qualified contractors and should include coordinating with the local fire department to test input into their system. Article 2. Firewalls in multi-family units or condominiums are required to be continuous to the roof. Firewalls can be subject to damage from activity in the attic, animal presence, and remodeling. 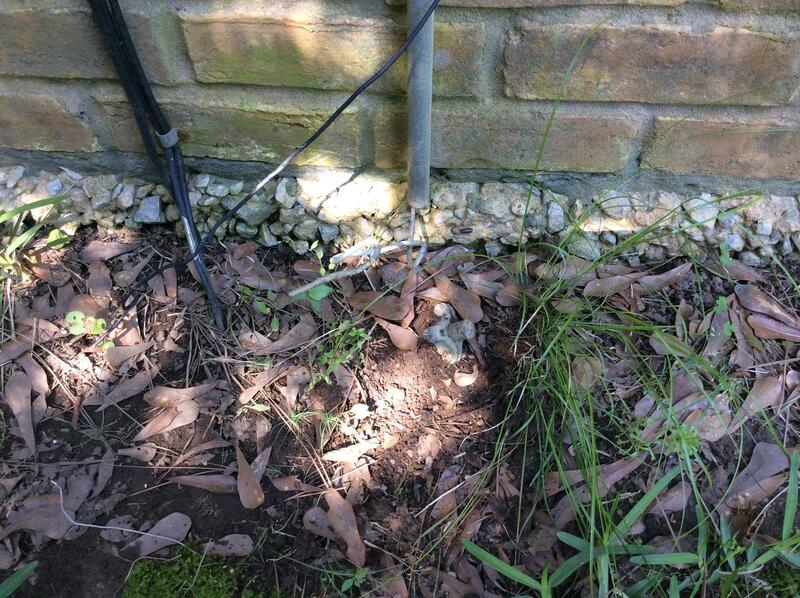 Any breach in the wall should be adequately repaired by a qualified contractor. 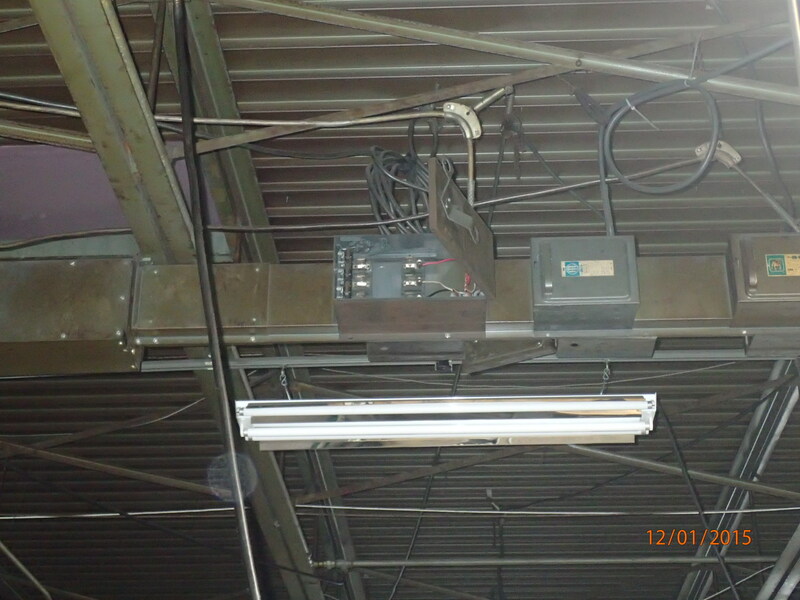 This is a picture of a Romex conductor in a commercial building storeroom used as a branch circuit for a lighting fixture. The lighting fixture has a pigtail 110 volt plugin to a 110 volt outlet box used as a junction box below the sheetrock drop ceiling. The Romex wiring is also run on the outside of the sheetrock drop ceiling which is not permitted in commercial property. The wiring for the lighting fixture should be enclosed in E.M.T. (electrical metal tubing) conduit or Flex or MC with conduit supports properly anchored to the ceiling and along the wall. The lighting fixture circuit should run from the light switch to the lighting fixture.